On Saturday, December 19, 2015 at about 12:45 a.m., emergency responders were called to 207 W. 6th for a reported stabbing. Responding officers were directed inside the residence by a witness. 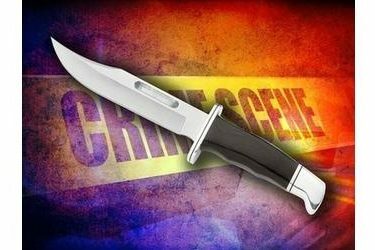 The witness stated his brother had been stabbed and the suspect was still in the residence. Officers entered the residence and apprehended a 42 year old male. Officers located the unresponsive victim inside the residence and began life saving efforts. Seward County EMS transported the victim to Southwest Medical Center where he succumbed to his injuries. The victim was identified as Guy Terry. He was 46 years of age. Investigators learned that both men were residents of the home. An argument ensued and then turned physical. Investigators arrested the 42 year old male suspect. He was booked into the Seward County Jail on a charge of murder in the second degree. An affidavit will be sent to the Seward County Attorney for the filing of formal charges.